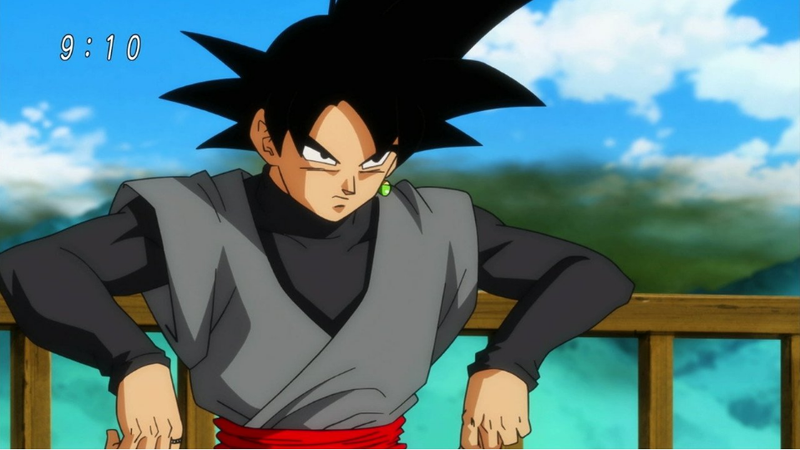 Do you wonder who Goku Black is? Well, if this leak is correct, we could officially find out soon. The evil entity known as Goku Black debuted earlier this summer in Dragon Ball Super’s Future Trunks Saga. But who exactly is Goku Black? Online people have been shooting around theories, but in upcoming episodes will finally find out the character’s true identity. This episode, however, apparently does not actually reveal Goku Black’s identity. Instead, what appears to be a television guide listing states Goku Black’s true shape will be revealed in episode 61. This latest leak is unconfirmed, but as we’ve already seen, the Super Saiyan Rose spoilers leaked last month in a Japanese television guide were later proven true. The latest leak, which is titled “Goku Black’s True Form Revealed! !,” states that Zamasu (pictured, below) used Dragon Balls to change bodies and minds with Goku. YouTuber The Fan Guy pointed out that there are other similarities, including their ki, their motives, their fighting techniques, and even their aura. YouTuber Geekdom101 wonders if there could even be a Zamasu with Goku’s mind, which would certainly be an interesting development. Stay tuned.